Polycystic ovary syndrome, or PCOS, affects an estimated one out of every 10 women during their reproductive lives. Tina Mehta, DO, FACOG, and Melissa Kushlak, DO, FACOG, of Elite OB/GYN offer the latest diagnostic and treatment options for PCOS, and can help you find lasting relief. To learn more or to schedule a diagnostic exam at this Fort Lauderdale, Florida, practice, try the simple online scheduling feature or reach out to the office by phone. Polycystic ovary syndrome, or PCOS, is a serious medical condition that a hormonal imbalance causes. Your entire reproductive system is governed by hormones, including estrogen, progesterone, and androgens, which are sometimes known as “male” hormones. When those hormones get out of balance, reproductive symptoms arise. Researchers have not yet determined the exact cause of polycystic ovary syndrome, but it’s believed that an issue with insulin production may play a causal role. What are some symptoms of PCOS? Polycystic ovary syndrome can be difficult to diagnose because the symptoms vary from one woman to another, and mimic those of several other conditions. Some women live with PCOS for years before they are properly diagnosed. Infertility is another common symptom of PCOS. In fact, many women find out they have the condition only after they begin fertility treatments. Treatment efforts focus on managing your symptoms and reducing your risk of complications like heart disease and diabetes. Your treatment path also depends on whether you plan on getting pregnant in the future. Lifestyle modifications can go a long way toward lessening the symptoms of PCOS. Your specialist at Elite OB/GYN works with you to identify areas where improvements can be made, and guides you toward healthier habits. Hormonal birth control is a great way to manage PCOS. The hormones found in birth control pills and other hormonal family planning options can help regulate your natural hormone levels, easing symptoms and helping regulate your menstrual cycle. Certain medications can also be helpful in managing PCOS. Some lower your insulin levels, which can help you lose weight and improve your chances of conceiving a child. If you’re struggling with PCOS-related fertility issues, treatments to prompt ovulation can help. For some women, in vitro fertilization is the best path toward motherhood. 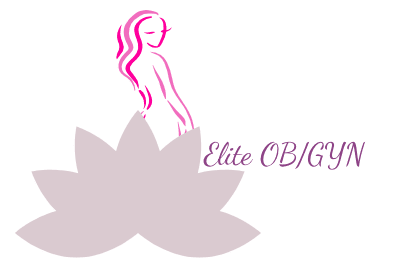 If you’re concerned about troubling symptoms and would like a diagnostic exam, schedule an appointment with Elite OB/GYN today online or over the phone.